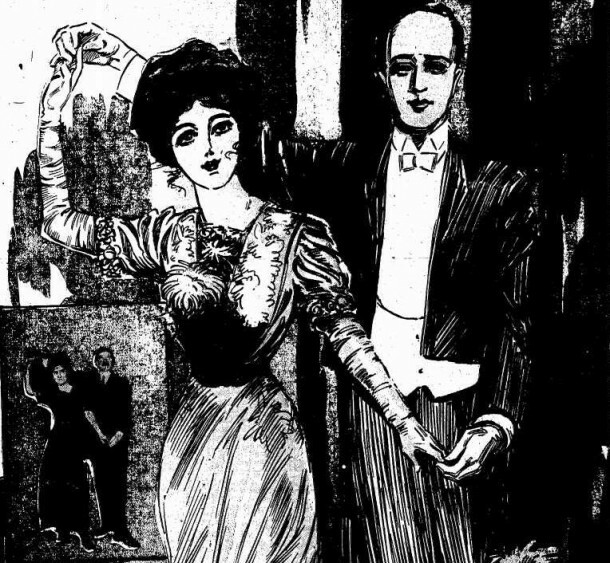 During the Victorian era when many of Indianapolis’s social elite had ballrooms in their homes, the city’s most popular dance instructor was David B. Brenneke (1855-1918). The German native lived for over a decade in Evansville where he took business classes, but was brought to Indianapolis in 1882 due to the influence of Mrs. Horace Allen, wife of Dr. Allen who ran the National Surgical Institute. 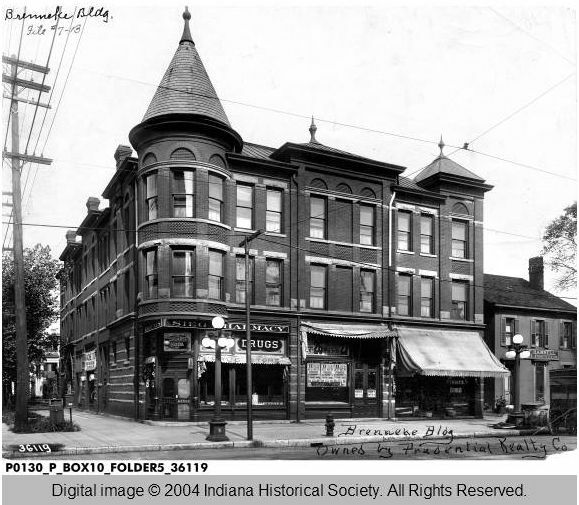 Brenneke’s first dancing class in Indianapolis was taught to fifty people in the ballroom of the Allen’s house at 1305 North Delaware Street [the Bates-McGowen-Allen house]. His genial personality won over the upper-class residents, and Mrs. John C. New and other important people from around the state asked him to give private lessons in their homes. 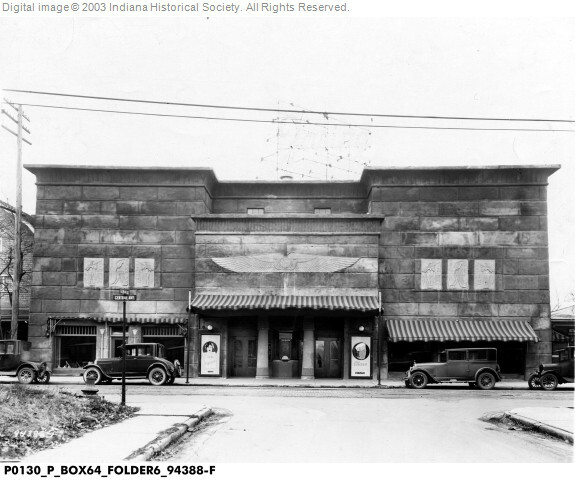 He decided to remain in Indianapolis where he taught dance until about 1914. 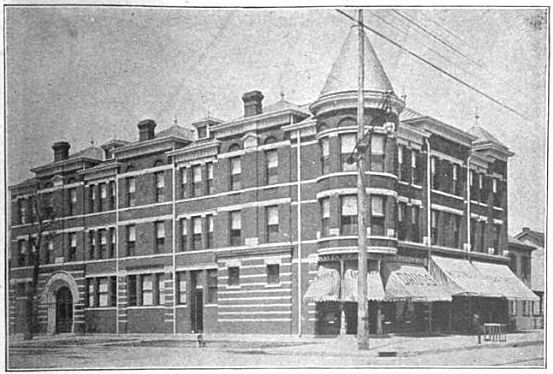 With the help of his wife Fannie (nee Duval), Brenneke’s business grew enough that by 1895 he was able to build a three-story brick and stone academy at 602-606 N. Illinois Street. The space was devoted to the art of dance, although the first-floor commercial space housed a drug store and meat market. 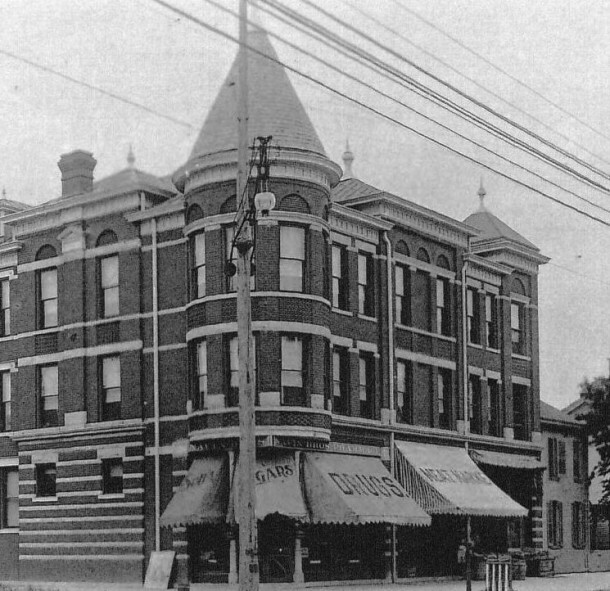 According to Hyman’s Handbook of Indianapolis (1898), this building was constructed on the northwest corner of North Illinois and West North Streets by “Professor Brenneke” in 1895. It was especially designed and devoted to dancing, with facilities for social gatherings, a 57’ x 76’ assembly hall with a large gallery to accommodate 300 spectators, and a 37’ x 57’ banquet hall with a furnished kitchen. The building’s prominent feature was a rounded corner turret. 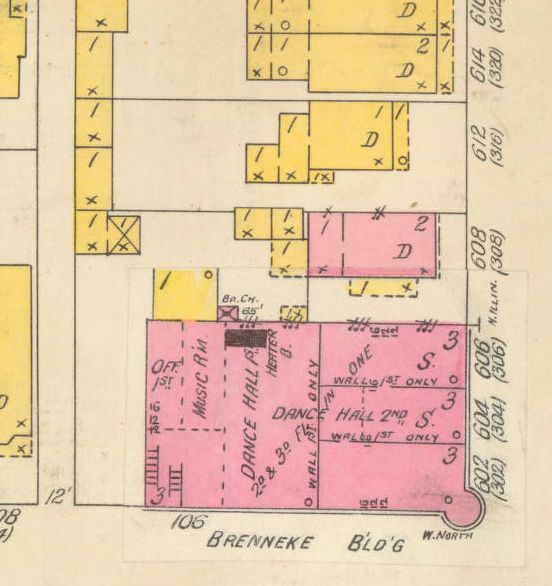 This map shows the first-floor commercial spaces, hall configuration, as well as an adjacent brick house that Brenneke also owned. Through the years, the Brenneke Academy appears to have been used by every group in the city, including schools, sororities, social clubs, private parties, and churches. Detailed and flowery articles in the society pages describe the many cotillions, festivals, and recitals that took place in the “terpsichorean” gallery (meaning dance-related…how’s that for your word of the day?). Committees repeatedly decorated the dance hall within an inch of its life with palm leaves, paper banners, bunting, Chinese lanterns, flags, flowers, and Japanese paper umbrellas. Photographs of the interior can be seen in the December 26, 1896 issue of The Indiana Woman, p. 11. This drawing, based on a photograph in the lower left that probably depicts the well-known dance instructor, illustrates an article Brenneke wrote titled “Can You Trip the Boston Trot or the Butterfly Dance?” Brenneke and Fannie taught all ages from first graders to adults starting with a fall session. The couple often took extended vacations in the summer months. His obituary stated that he was an exponent of the waltz and two-step and abhorred the more modern dances that later prevailed. Shortly after Fannie’s death in 1911, Brenneke sold the building but continued to teach there until about 1914. He was no longer affiliated with the dance studio by the time that the new owners announced that a brilliant electric sign would illuminate the old dance hall promoting this as the headquarters for the new and bewildering TANGO and other modern dances taught by the pretty and graceful Mademoiselle Helene. No doubt this was the type of dance that Brenneke abhorred. After his retirement from dance instruction, Brenneke remarried and invested in real estate. 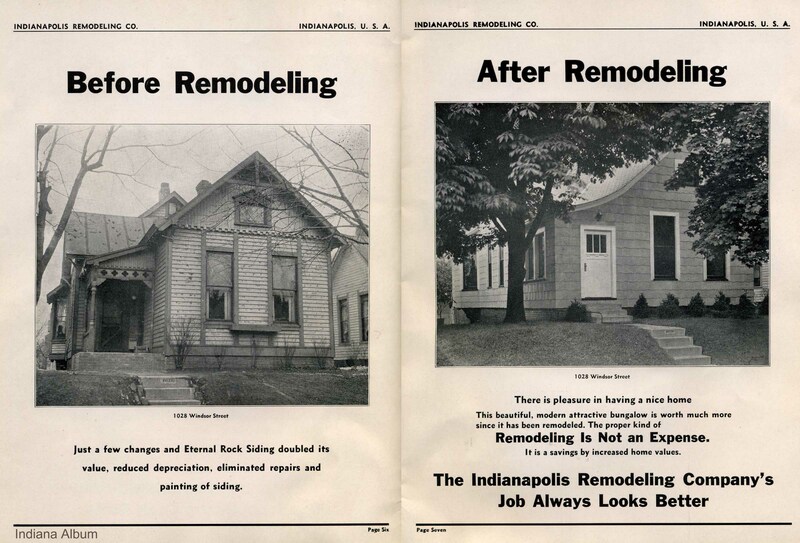 Sadly, in 1918 the 58-year-old committed suicide by swallowing poison in his garage at 3851 North Pennsylvania Street. Family members said that he was in excellent health and seemed in good spirits, but was worried because he was unable to acquire his second naturalization papers. He had received his first papers when coming to the United States in the 1870s, but after the World War I was declared he tried several times but was unable to become a citizen. By 1930, the former dance academy space was converted into the McKinley Lodge Apartments (later known as the McKinley Hotel). 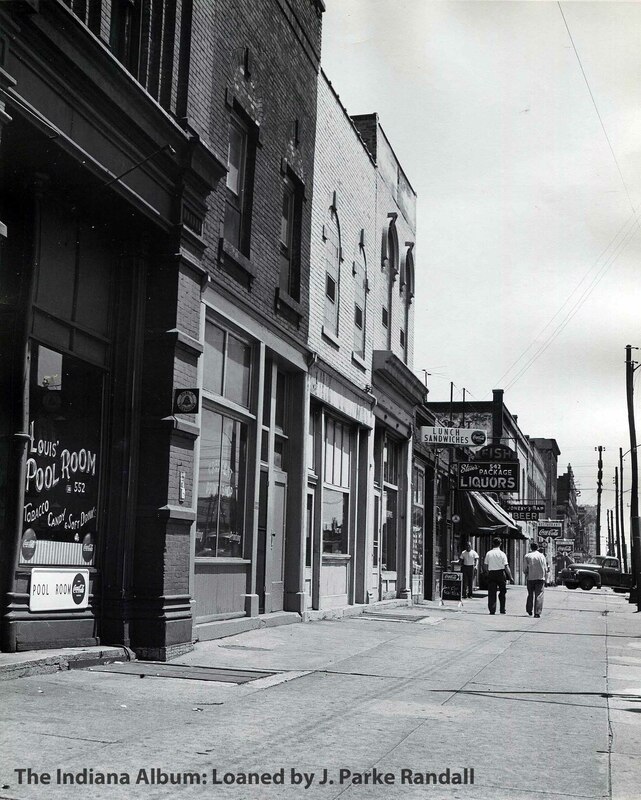 George and Mary Karnezis operated a restaurant in the ground level corner space in the 1940s through 1960s and a variety of other businesses came and went through the years, including Mrs. Hattie Jolly, dressmaker, and Thomas Buck Cigars. 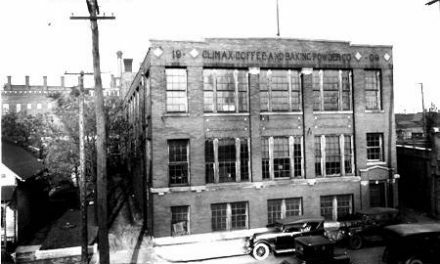 The Brenneke Building was demolished in 1968 or 1969 and by 1972 the site was the Hatfield Motors Used Car Lot. Today the corner is a landscaped picnic and parking area for the AT&T building located on W. North Street just one block west of the Scottish Rite Cathedral. A gorgeous building with a rich history. It’s a shame that we don’t build buildings like that anymore as it had just about everything: mixed use, vibrant businesses in it, welcoming presence for people walking and not just driving, etc. According to City Directory from 1926 My grandfather Harvey E. Jones was the manager for the McKinley Lodge Apartments. He lived at 106 W. North Street. Do you know if there is any way to find out more information about these apartments or records from that building? Thank you in advance for your help!